The leaves are dropping from the trees, and I have a thick carpet of them blanketing my back yard. The peaking fall colors and warm, dry weather has stimulated many of the the trees to drop their leaves, and the rest will follow within the next week or so. 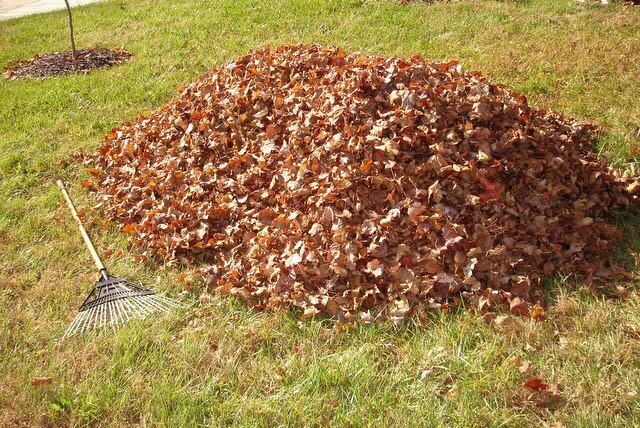 Fortunately the City of Wausau’s Fall 2011 Leaf Collection Schedule starts up on Monday, October 24. Wausau area residents that want their leaves picked up by the city should rake them to the curb and then on the day prior to collection, rake them into the street. Please don’t rake leaves into the street before the day of collection as they can clog the storm sewers and add organic material to our lakes and rivers if it rains. Other municipalities such as Rib Mountain, and Kronenwetter do not offer curbside collection, so leaves in those areas will need to be taken to their yard waste collection centers. Wausau area residents can take leaves and other yard waste material to the Yard Waste collection center on 105 Chellis St. If the leaf collection progresses faster than the schedule, public works employees will recheck the area on the day of the schedule for any missed leaves. Do we live in a food Desert?